"Spotting" is a technique used by professionals in film and television wherein certain key creative people involved in the project, typically the producer, director, editor and composer, review the film or show scene by scene and determine not only where music should begin and end in each scene (to the frame), but also what it should evoke, emote or communicate to the audience. Traditionally Spotting Sessions, as they are called, take place after the film has a “locked cut”, meaning the edit is finalized and won’t change. However, these days locked cuts sometimes aren’t finalized until the film is about to be released for distribution. Nonetheless, it’s helpful to do this anyway, even if the cut is not locked. Just keep in mind the more set the edit is, the more ready you are to determine exactly what the music should do – for most projects the edits should drive the music, not the other way around. The important thing is you can use this tried and true technique - used in some of the greatest films and television shows in history - to plan out exactly what you are going to do: where you will put music in your film, why and how much you need. Even if you are on your own as an indie video or filmmaker and are wearing all the above hats, take a little time to determine the precise start and end of each sequence having music and the motivation for it, throughout your project (ie “Why do I need music here?” or “What is its purpose at this point?”). If your edits change later, as they sometimes do, you’ll still have a much better understanding of the type of music you need for your film and what it needs to accomplish. This will help you save time in getting the music, and make for a much better end product. SmartSound Sonicfire Pro has a feature called Spotting, that helps you find music that fits multiple marker points quickly and time out to your scene faster. While no replacement exists for the creative process of determining where music should start and end throughout your project, it was inspired by this process. To see Larry Jordan’s tutorial on the Spotting feature click here. 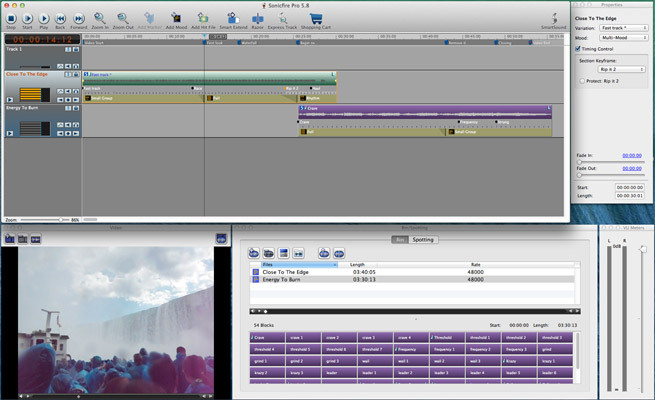 When spotting music sequences for your project, use your NLE to set the in and out markers where music will start and end. Make sure to include markers for any important moments in between. You can also do this in Sonicfire Pro as well. Once you have these markers set you can invoke a variety of powerful scoring tools to help you find and fit the music to each sequence. SmartSound - The Only Customizable Royalty Free Music Library. 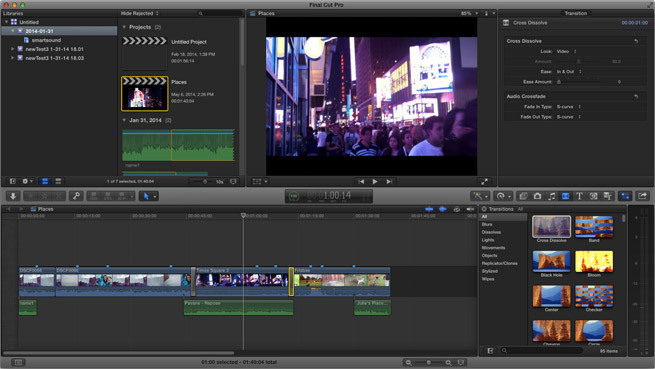 Using Final Cut Pro X? 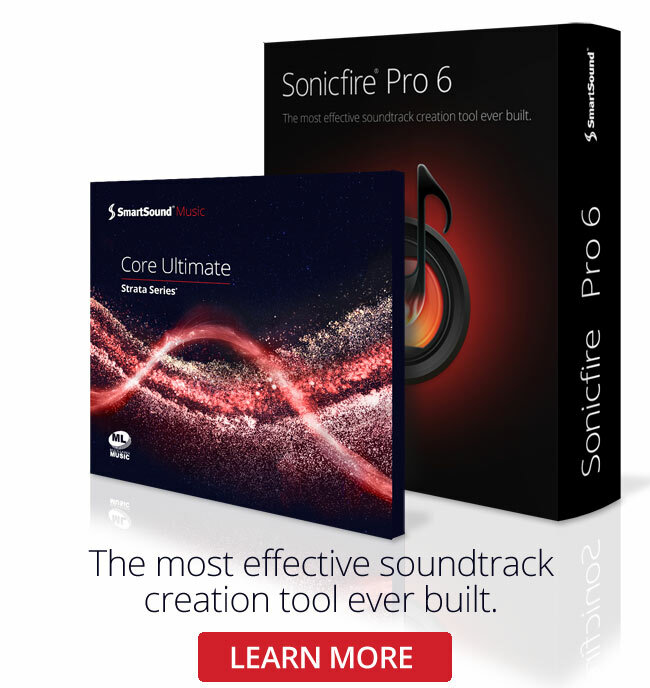 Check out our powerful new Sonicfire Pro plug-in here.